After Tara’s explanation of what “canon” means in regards to both literature and this podcast, let’s expand upon what can be considered canon. While a canon is typically limited to only one medium (i.e. novels or films), with fandoms demanding more content for their favorite franchises, creators are more willing to expand their canon to multi-media platforms. Multi-media adaptions of comic book based intellectual property can never share the same linear canon as their source material due to the never ending nature of comic books. However, due to the strength in the writing of certain adaptions and how widely they’ve been embraced by both the comic community and mainstream audiences, select few multi-media adaptions of comic inspired works can be folded into a particular character’s canon. Multi-media canons are not a new phenomena. For example, Star Trek originated as a television show in 1966 and has since become a multi-media franchise that has grown to include five additional television series, thirteen full length feature films, and countless novels and graphic novels. Previously, for a fan to consume everything that existed in the canon of the Star Trek Universe they would have to consume no less than four different types of media. For a new fan, that much content can be intimidating and lead to struggles in determining what is canon — a debate that is only exacerbated with the inclusion of the dreaded “reboot” phenomena. Reboots often leave fans scratching their heads over what is still in canon and what is being quietly swept under the rug. Occasionally, the owners of the intellectual property will descend from their high perch and plainly state for fans what is and isn’t canon. Perhaps the most controversial example of this is when Disney acquired the Star Wars franchise in 2012; after picking up the franchise, Disney firmly stated that from 2012 on only the Star Wars films and Clone Wars animated series would be considered in continuity and that all other stories (video games, comics, novels, etc.) would be considered non-canonical and be retired/rebranded as in-universe “legends”. To further drive home their point, Disney stated they would be creating an entirely new canon that would be established solely by material that they would exclusively oversee. This declaration alienated fans who spent decades enjoying these previously published works because they were being told that the stories they revered were no longer important to the other franchise. This frustration that was all too similar and all too familiar with DC Comics fans who struggled to determine what was in still in continuity after the company wide “New 52” relaunch of 2012. Sometimes fans themselves are divided about a canon being divided between different mediums. A more recent example of a multi-medial canon is the creation of the Wizarding World of Harry Potter. If a fan wishes to complete the full Harry Potter canon that was established with the original novels, they must switch mediums at least three times. J.K. Rowling launched Pottermore, an exclusively online library of short stories and various writings that Rowling has stated are all canonical. In 2016 J.K. Rowling co-wrote Harry Potter and the Cursed Child, a stage play that acts as an epilogue to the Harry Potter sage. Furthermore, 2016 saw the launch of the Fantastic Beast series — a five part film saga that canonically takes place sixty years before the first Harry Potter novel and features several characters referenced in the original book series. The Fantastic Beasts series has been met with a mixed reception with some voicing frustration with J.K. Rowling by comparing her to George Lucas due to her inability to stop tinkering with her previous stories. While the previously examples of Star Trek, Star Wars and The Wizarding World of Harry Potter are multimedia canons, they are still linear progressions of the same story. If a timeline were to be created for any of those franchises, each entry (regardless of medium) could be plotted in a mostly linear path. Comic books and comic books films cannot share the same linear canonical timeline due to the ongoing nature of comic books. At best comic books films can be adaptations of poplar comic book storylines. It would be impossible for comic books films to be anything other than loose adaptations of already pre- existing comic books storylines — film studios would not expect film goers to read the complete 70+ years of superhero comic books before watching a single two hour film. Conversely, it would be just as alienating for a comic book reader to be forced to into a cinema to see how a particular storyline would be resolved. However, an argument can be be that select pieces of media should have a place in certain character’s individual canon. Unquestionably, the legacy of B:TAS is the creation of Harely Quinn. Harley Quinn first appeared in “Joker’s Favor”, the twenty-second episode of B:TAS’s inaugural season. What could have been an inconsequential throw away character was welcomed by fans with open arms. Quinn made her first published appearance in 1993 in a printed spinoff of B:TAS. Five years after that, Harley officially entered the Batman canon when she was introduced during the No Man’s Land crossover. Within a decade of her appearance on the B:TAS she was given her own solo series in 2001. Since being introduced into the DC Universe, Harely has become a staple in Batman’s canon but has become popular anti-hero and well celebrated LGTBQ icon. Due to fans connecting with the character, she ended up being a lead in 2016’s Suicide Squad feature film where she was portrayed by Margot Robbie. 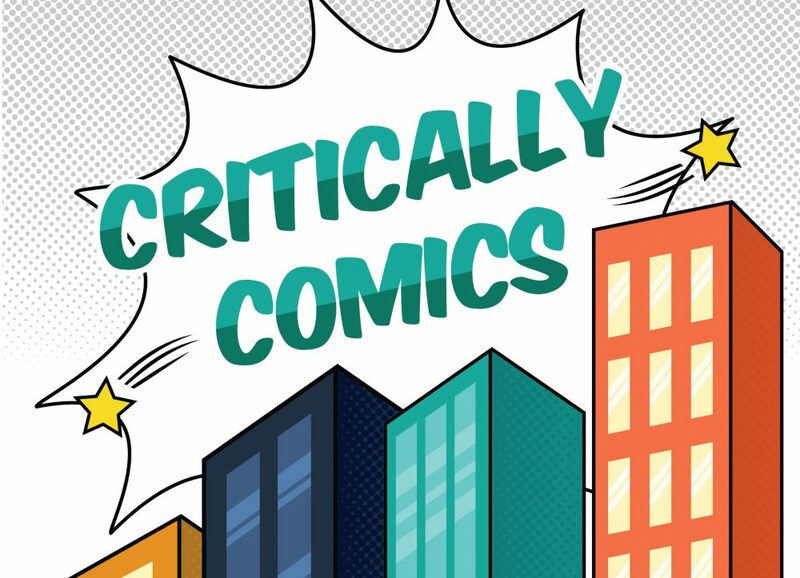 While our podcast will continue to focus on what published comic books can be considered canon worthy, we will be launching a regular blog post series to determine what pieces of comic book inspired media can included in individual characters’ own personal canon. These characters have transcended off the page and established their own non-linear multimedia canons – canons that are not defined by events that add to their overarching story but instead a canon made up of pieces of work that cut to the core aspects of the character.